The subscription box has really taken off over the last few years. Everything from craft beers, coffee, razors and organic veg are becoming household staples, and I’m not surprised. Who doesn’t love getting a parcel delivered with new exciting things to try out! 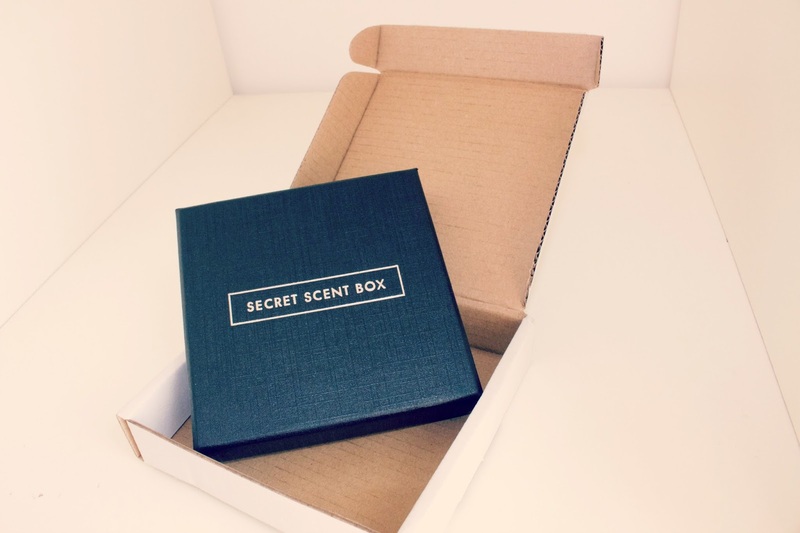 Secret Scent Box offers three designer or branded fragrances per month, delivered to your door in a stylish little package that’s letter box friendly. The fragrances come in individual 3 ml plastic bottles, along with a card giving some background on the fragrance, the various notes, and a picture of the bottle design for your reference. Whilst the small plastic bottles are a little on the cheap side (I found the pump slightly tricky to use) – they are super handy for travelling or popping into a jacket pocket for a night out. I always carry miniatures for holidays as full bottles can be heavy and take up unnecessary luggage space. I really appreciated the cards that describe the fragrances, I like to know all the notes in a fragrance along with any back story if there is one. (Tom Ford’s are always really interesting!) and seeing a photograph of the bottle also ticks a box as I think the bottle is part of a scents personality and also helps me distinguish them in my head, and locate them if I am picking up a full size in store. In terms of the fragrances that arrived in April’s box, I’ve tried them all and was pleasantly surprised by Joop Wow – I’ve avoided Joop since over doing it as a teenager so it was fun to be reintroduced to the brand. I also love Parma Violet sweets and the top note reminds me of them! 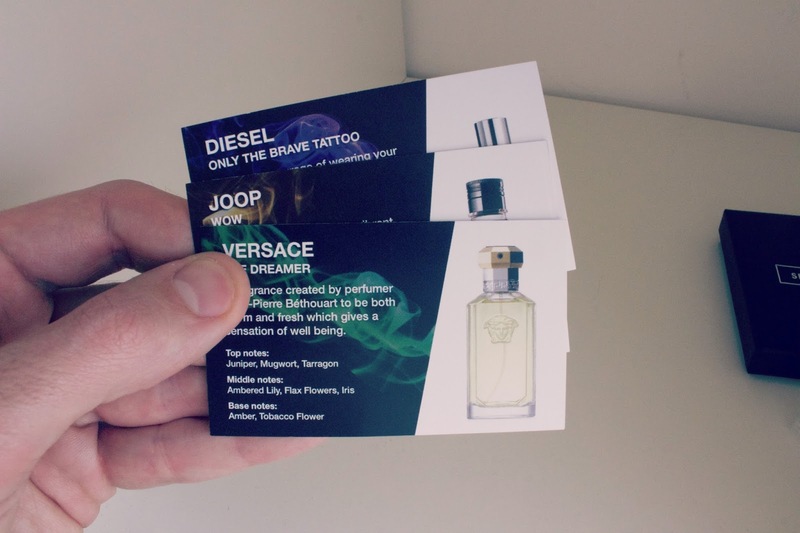 Diesel Only The Brave Tattoo fragrance wasn’t for me, but I know it’s one my brother will love so I’ll pass that on to him, and Versace The Dreamer is growing on me – a benefit of having a sample that will last you a few weeks! 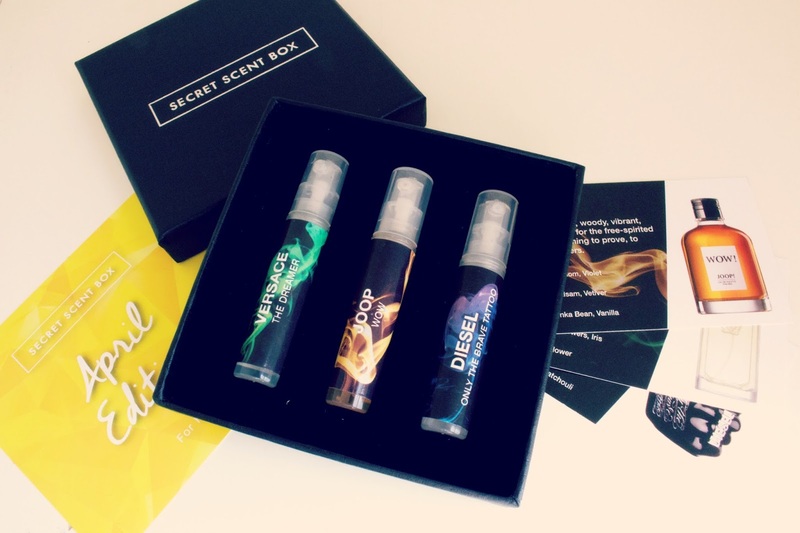 Secret Scent Box say the three fragrances will last you a month with 4 sprays per day. Personally, I use 6 sprays per day – neck, neck, wrist, wrist, elbow, elbow! But I would image you would continue to use your existing fragrances along side these so I don’t imagine this being an issue for anyone. In terms of value for money, the box costs £15 per month which includes postage. If you break this down into cost per ml it does work out more expensive than buying the full sized individual bottles at their high street / online in the case of April’s box, but with brands listed including Gucci, Tom Ford, and Chanel this may not always be the case and it could work out a really affordable way of trying out new fragrances. The other thing I like about this concept, is that for me, fragrances invoke memories, and using different fragrances in different months will bring back those memories of winter days, summers months, or trips abroad that you will come to associate with them! For example Issey Miyake L’eau d’Issey always reminds me of going on holiday because I always spray it on at Duty Free! *This post includes PR sample / Affiliate Link, all opinions are my own & honest. Please see my PR Disclaimer for full details.